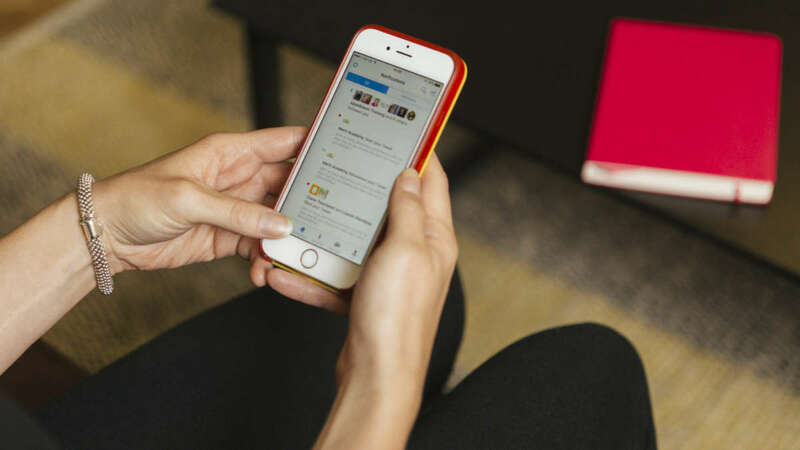 We’ve seen A LOT of “what’s new for social media in 2019” blogs over the past eight weeks. Everyone seems to be chasing that new high. Quiz options on Instagram Stories. New conversation features on Twitter. 3D photos on Facebook posts. New features and functionality are exciting, but are you using the current features to their full advantage? And forgetting the platforms themselves, can you honestly say that you have nailed your social strategy? You know, the one that should underpin everything you do? Our experience of working alongside the hundreds of businesses matched with our Advanced Diploma students is that under 10% have their fundamental strategic principles in place. Yet, they are all using social media or have someone managing their social media for them. If you’re running social media platforms for your business without having completed the key strategic steps upfront, then you aren’t doing social media marketing - you’re just doing social media. It’s the marketing strategy that’s the key to success on social media in reaching your customers and growing your brand. Rather than what’s new in 2019, we want to talk about what’s NOT new. Those unchanging, fundamental principles that underpin social media success. Without these, no snazzy feature will save you. Do you know where you are in your social media marketing journey and where you need to be? So many businesses want to drive website traffic, or they want sales as their overall goal. It’s fine to want to achieve sales, but have you started building an engaged social media community yet? How many people like your tweets/posts on average as a percentage of your total followers? When you’re obsessively driving people to complete aggressive sales actions like website visits, they grow tired of your pushy attitude because they aren’t your fans yet. They don’t know enough about your brand, they aren’t finding you engaging, they aren’t building a relationship with you. Maybe you’re a new-ish business or have embryonic social media channels that haven’t had much love. If so, you probably want to focus on building brand awareness. The metrics for this objective are related to awareness among your audience. Reach. Impressions. You want to track whether you are getting in front of more people with your brand messaging. No matter your business/charity, a solid objective to aim for on social media is building engagement with your audiences. Don’t chase follower numbers. Focus more on having meaningful conversations with the followers you already have. The metrics you want to track here are engagement interactions. While likes stroke your ego it’s comments and replies that matter the most. Here you’re building great relationships with your target audience. If you’re obsessed with driving website traffic and quick sales then you may want to explore paid social instead, as this will deliver a better return on investment for this. But you’re missing out on the chance to develop valuable interactions and build a loyal customer base that scales over time. With paid social, once you've spent your budget and you get the initial results, the impact it has vanishes. You'll have to pay more to get more results. With organic social, you have a way of capturing their attention beyond the initial advert, which gives you an opportunity to build a relationship with them over time. If you do it well, somebody who might not be ready to become a customer immediately might do so further down the line. Steadily building a community might not drive as many customers in the short term, but it pays off better over time. Our social media efforts from two years ago are feeding into our results now, creating a snowball effect. What this means is that social media is actually cheaper over the long-term, if you do it well. Social media marketing is all about people. Arguably the most important step in creating your strategy is understanding your audience. After all, if you don't know who you need to reach how can you know how to convert them? How can you know which content to use, when to post and to which platforms? Quite simply, you can't. User/buyer personas are fictional representations of your target audience. They are used to get a thorough understanding of a target customer and their daily habits, dreams and motivations. They take you way beyond basics like gender, age and location and give you rich insights into exactly who you are trying to talk to. If you have more than one audience segment (which you probably will) then you’ll need personas for each segment. We advise making three or four. How old are they? Where do they live? Which social media platforms do they use and when do they use them? What’s their day-to-day schedule like? What’s the best time to reach them online? Where do they get their information? How do they like to receive content and in what format? When you’ve answered these questions, you can start writing up profiles of each audience segment. 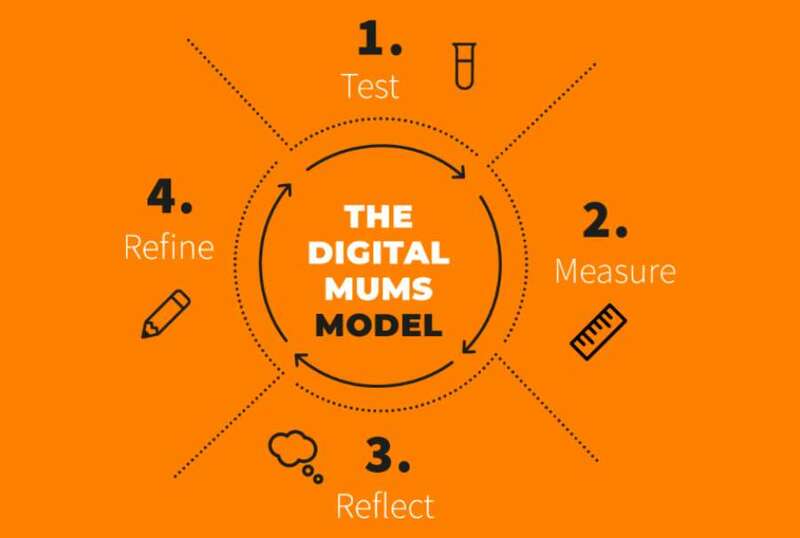 At Digital Mums, we advise our students to really bring each persona to life. We say give them a name, age, location and really flesh them out into a real person. It might seem strange, but the more detailed you are, the more helpful it is when deciding what your content and messages should be...and also WHERE you should focus your social media efforts. Now you know who you’re talking to - and why. But when you’re competing with so much chat on social networks, how do you persuade people to listen to you? How are you positioned in the market and how do you differentiate yourself from your competitors? The next step in your strategy is developing what we call at DMHQ, a sociable brand. People often mistake a brand for a logo. A brand is much more than a logo or even a business’ wider visual identity. It is the essence of a business - who they are, why do they exist and what you can expect when interacting with them. Your sociable brand hits the sweet spot between what your brand stands for, and what your customers are interested in and relate to. We have a clever framework that helps with this, which draws on that old school GCSE tool - the faithful pie chart. 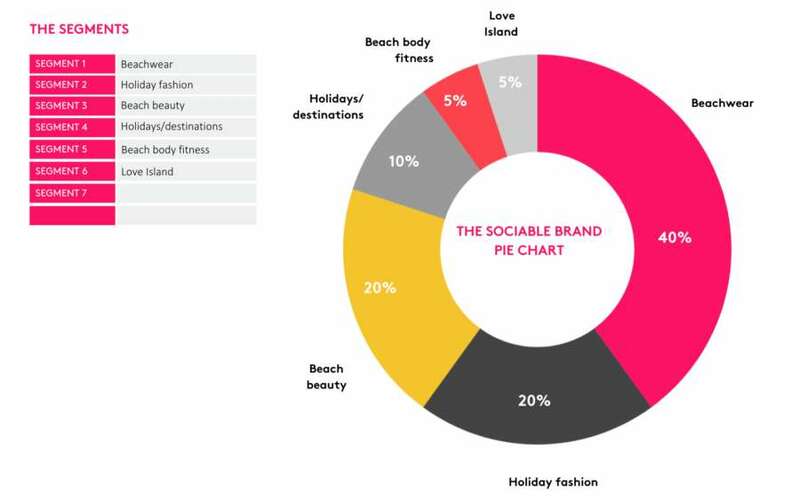 Once you have nailed your sociable brand pie chart, the next step is to craft the right tone of voice. It’s not just WHAT you say, but HOW you say it. 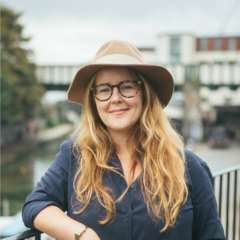 Light-hearted, authoritative, cheeky… getting the right tone of voice for your business is crucial. It must reflect your business image, mission and personality. Provides clarity. If you are consistent then your customers won’t become confused about who you are and what you stand for. Shows professionalism. If a brand is all over the place with their tone of voice, marketing, visual look/feel and content, then they look unprofessional. It gives the impression that they can’t make up their mind about who they are. Establishes authenticity and builds trust. A consistent brand shows you are staying true to who you are and means people are more likely to trust you. In today’s world, the average consumer is exposed to between 4,000 and 10,000 brand messages every single day. More traditional advertising and marketing spends such as TV, print and desktop ads are becoming less impactful and less effective at using ad and marketing dollars. This is particularly true as ad-blockers and paywalls grow in popularity. Marketers must turn additional efforts to social media platforms and influencer campaigns. Consumers become more suspicious of ads and don’t trust brand claims. Influencer marketing has exploded over the past few years. There is no getting away from the fact that larger influencers require a paid strategy conducted outside of social through agents and email. However, for many micro and nano-influencers it’s possible to do influencer marketing by building authentic relationships with them online. It’s important to know which influencers make the most sense for your brand, how to find them and how to build relationships with them. Instead of being reactive you should be proactive about crafting an influencer strategy. Content marketing is the technique of creating and distributing valuable content with the objective of driving profitable customer actions. Content marketers draw and develop the larger story that an organisation wants to tell. They focus on ways to engage an audience, using content so that it changes or enhances a behavior. Content marketing goes beyond social media marketing. Content marketing covers multiple channels through which content can be shared and found such as email, messaging apps, third-party websites, search networks like Pinterest, or organic website traffic through search engines like Google. However, social media is one of the most popular platforms for distributing content. What platform is the content going to be shared on? What content topics work for our sociable brand? What budget/resources do we have available? What skills do we have in-house for content creation? What is the ideal curated: created ratio for the brand? What kind of actions and reactions do we want to achieve? What content format will work best? What is the content purpose? 6. Having an iterative-data driven strategy? The internet has given us many gifts, but the one that is most impacting the way we do business is the ability to make smarter decisions through the use of data. When managing social media in our experience people most frequently make strategic decisions based on insight or gut feeling. Don’t do this. You could end up wasting valuable time and resources and never achieve the results you want to see. Let’s say you’re investing loads of time creating written blogs like this one. You share 1-2 a week on average. But when you look at the data from your social media posts and tweets for the last 6 months you suddenly realise that when you share these blogs you don’t get much engagement and few people are clicking through to read them. You’ve wasted your precious time. What the data also shows you is that podcast you shared last week got 10x the engagement you normally see. Should you stop creating blogs and start creating podcasts instead? Possibly. At least that’s a great hypothesis to test going forward. Why not create 2-3 audio/podcast versions of your top blog posts so far and see how they go down with your audiences. Embrace data. Adopt an iterative, data-driven culture when marketing on social media. Below we’ve shared a simple infographic we use with our students to help steer them in the right direction, using our tried and tested framework, our Test, Measure, Reflect, Refine model. Whether you run social media platforms for your business/charity, or whether you’re running social media platforms for your employer’s business/charity you need to make sure you’re all over steps 1-6 above before you even think about wasting time chasing those shiny new features. If you aren’t sure how to go about doing that then don’t worry. Why not check out our brand new Foundation in Social Media Marketing course that will teach you the strategy in 2-3 hours/week. Or if you’re at the stage of your business where you’re generating revenue and would like to hire an expert to support you we have graduates qualified in running 1:1 training or group workshops on strategy. Or if you simply don’t have time you can even outsource your social media altogether.